Added on March 23, 2018 by Oliver Chapman. OCA are delighted to be working with Dunfermline Heritage Partnership and others to help deliver DesignDunfermline2018 - a series of public events over four days at the end of April. 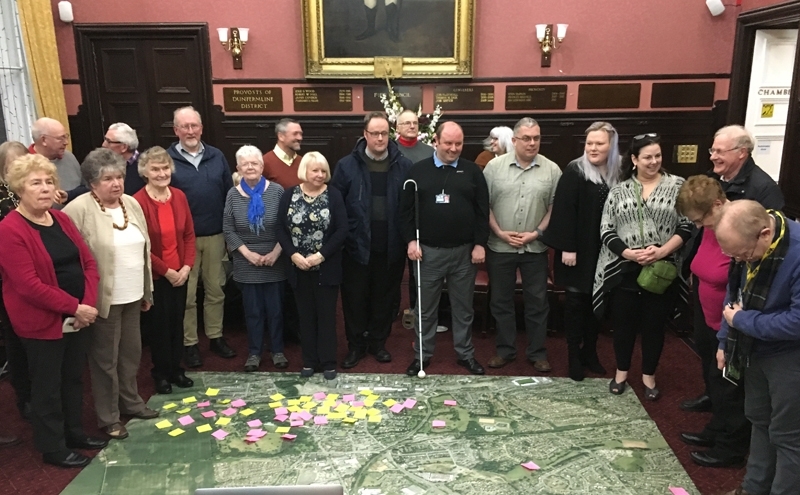 The local community - with the help of a team including facilitators, urban designers, architects, landscape architects and transport consultants - will create a design led solution for the regeneration of Dunfermline town centre. Preparations are well underway with pre-charrette activities taking place across the town as well as discussions with local groups including the Community Council.